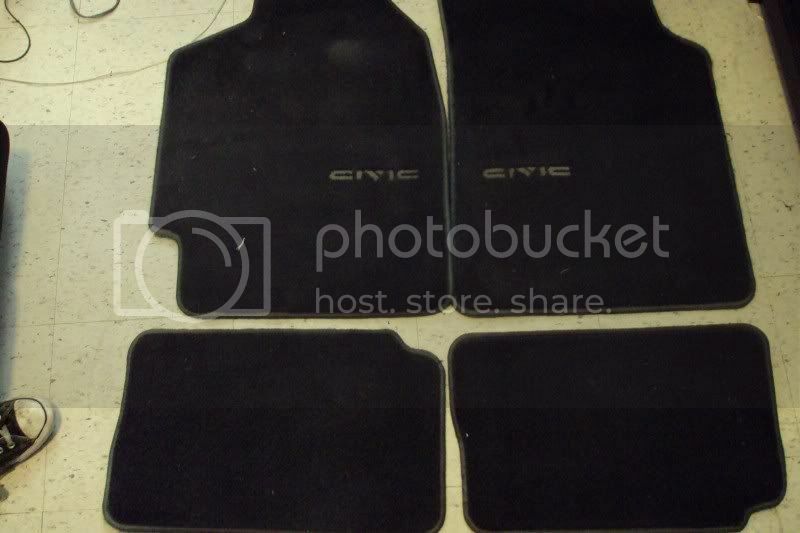 Looking to buy BNIB *NEW* OEM 88-91 civic hatch floor mats in black. Last edited by Robb on Sun Sep 18, 2011 3:39 am, edited 2 times in total. i saw some on ebay yesterday, they're used but in good shape, they're black, and it's all 4 floor mats, front and rear, just search Honda Civic 88,89,90,91, interior, used i can't remember but i think they're from new zealand. "classictuners" wrote: i saw some on ebay yesterday, they're used but in good shape, they're black, and it's all 4 floor mats, front and rear, just search Honda Civic 88,89,90,91, interior, used i can't remember but i think they're from new zealand. I searched New Zealand worldwide.. cant find them..
alright i'll go check, there might have been a buy it now option, which would explain why they're not there anymore, but let me check, i'll be back in a min. Alright, i got'em, here you go, the 1st looks nice but it's the 2nd one that i believe you're looking for. oh well, sorry i couldn't help, hope you find what you're looking for. I guess the daler is sold out huh. "classictuners" wrote: oh well, sorry i couldn't help, hope you find what you're looking for. I guess the daler is sold out huh. Long time ago.. Accessories are impossible to get new ! Now alot of EF interior parts are NLA from dealers..
you are looking for a needle in a haystack. been looking for at least 2 years, havent you? beginning to think there is no such thing. patience and persistence, if you want something bad enough, you shall surely acquire it. freydaddy wrote: you are looking for a needle in a haystack. For some reason crx parts are always easier to find... mud flaps, side moldings, etc. And will an acura crx seat on the 90's era fit my 90 dx? There is no need to bump this every week or so. People will see this even if you don't.